We talk a lot about improving your immune health. You can of course improve your immune health without fully understanding it. The truth is it’s a wildly complex system that performs multiple tasks, and uses a plethora of mechanisms to do it’s jobs properly. A good nutritional supplement can help you improve your immune system and overall health, and that may be all you are interested in knowing. 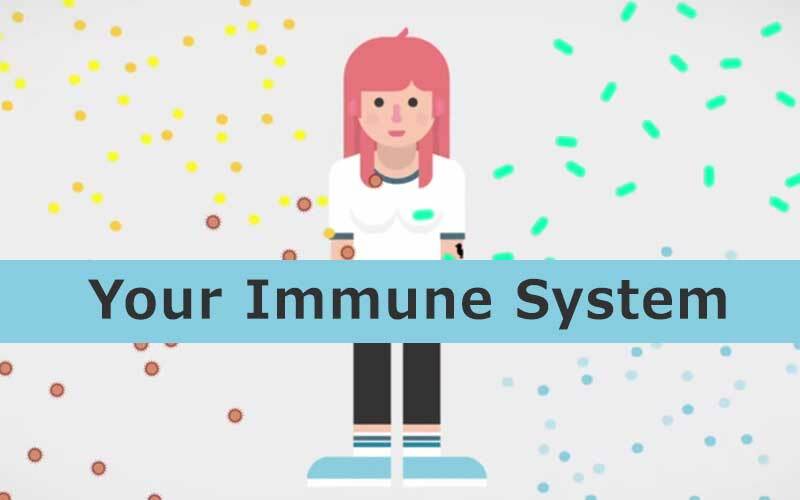 But if you’d like to boost your knowledge of how your immune system operates, we found the perfect video to succinctly explain the complexities. With the succinct nature of the video you see little factories working, and cells dividing, yet even with their detail a great deal has been omitted. For example it doesn’t get into the fact that your body’s cells and production can be inhibited by outside invaders and toxins that can lead to poor cell division. While your immune system protects you, your cells are protected by glutathione. It works to detoxify the body, stimulate immune function, natural killer cell production, and helps bring down inflammation. (Which can get out of control). So while this doesn’t give the entire tail, it’s a great start in understanding your health and your immune system.